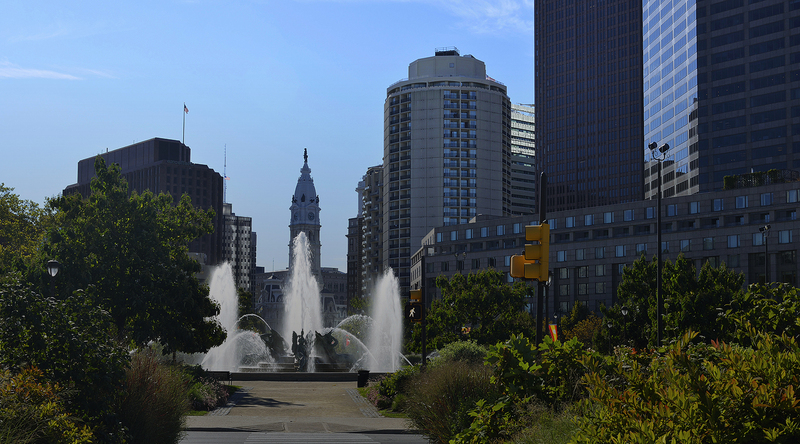 Our school building stands in Center City, but we have classrooms everywhere. Learn how we use the whole city as a living classroom. Friends Select’s SummerSessions program has flourished in the last 12 years to offer a wide range of courses that utilize the school’s location in Center City to offer in-depth, exploratory learning. Desiree Harmon, Friends Select’s middle school dean and director of SummerSessions, recently discussed how the program continues to evolve, and what parents and students can expect this year. SummerSessions classes run from June 10 through August 9, and registration is now available. It has become a recent tradition at Friends Select for me to share with the community the state of the school. I am thrilled to share that the state of our school is strong. A look at each team's performance throughout the season, including student-athlete award highlights. In the spring of 2018, Herb Siegel ’46 honored his friend and classmate Andy Lucine ’46 with a generous challenge to the Friends Select School community: Herb would match, dollar-for-dollar, $500,000 in donations to support need-based scholarships for Friends Select students. By the end of the calendar year, the community delivered: a total of $508,305 in gifts was raised by alumni/ae, parents, former faculty, and trustees to establish The Andy Lucine ’46 Scholarship Fund, a $1 million endowed fund to support students. Advance Friends Select is the culmination of many years of an exciting, thoughtful, collaborative process undertaken by our community to reimagine an unparalleled Quaker education in the heart of Philadelphia. A Teach-in to Honor Martin Luther King, Jr.
On the Friday before Martin Luther King Day, J. Jondhi Harrell, Executive Director of The Center for Returning Citizens, spoke with middle and upper school students in the Race Street Meetinghouse. Harrell delivered the keynote address for Friends Select’s first-ever Martin Luther King Teach-in, which upper school students arranged to honor King’s legacy of activism and leadership in the civil rights movement. Read More about A Teach-in to Honor Martin Luther King, Jr.
Sam Olshin is a principal at the firm of Atkin Olshin Schade Architects, and is responsible for the restoration of the Metropolitan Opera House in Philadelphia. Sam Olshin '78 is a principal at the firm of Atkin Olshin Schade Architects, and is responsible for the restoration of the Metropolitan Opera House in Philadelphia. His firm is also responsible for recent renovations to Friends Select School's lower level and the Blauvelt Theatre. Andrea Kremer is one of the most accomplished and widely respected sports journalists in the industry. She was named one of the 10 greatest female sportscasters of all time and among the best of all sportscasters. She is also a two-time Emmy award winner. After graduating from Goucher College with a BA in theatre and minoring in art, Evan McDougall , has been working in the Baltimore/ Washington D.C. theatre scene as a carpenter, welder, and machinist. He has led and helped crews realize designers’ visions for 5 or 6 shows each season at Imagination Stage and more currently as the Resident Carpenter at Everyman Theatre. He remains grateful to FSS for his early exposure to the arts that has led him down this path in life.